like Google, Yahoo, and MSN. to take the desired call to action. DDA’s search engine marketing program and custom website design and development services build professional websites that attract large numbers of targeted visitors by ranking on the front page of search engine results. Natural search engine optimization copywriting services, provided by Dynamic Digital Advertising’s degreed, in-house writers, turn those targeted visitors into your customers. Come up first on major search engines such as Google, Yahoo, and MSN. Dynamic Digital Advertising employs experienced copywriters who work with DDA search engine optimization technicians. The technician’s purpose is to locate all the keywords that will help attract potential customers to your website. The copywriters design highly-optimized marketing content that is interspersed with your keywords in a manner that sells your products and services to your customers. Some search engine optimization companies only provide pages of keyword-filled gibberish that hides underneath main pages. This provides poor search engine optimization and yields only minimal results. Dynamic Digital Advertising’s professional copywriting services strive for clarity and develop the optimum balance of keyword phrases and advertising text. Experience higher volumes of website visitor responses and higher ROI’s through search engine-optimization copywriting for custom website design and development. Click to learn more about how Dynamic Digital Advertising gets your website to front pages of Google, Yahoo, MSN, and other major search engines. Increase targeted traffic to your website by using dynamic search engine marketing copywriting. Some businesses have developed websites that sell their products and services to a very large percentage of their very small number of visitors. Our search engine optimization copywriting services generate bodies of keyword-rich text that are specific to your industry. Our professional copywriting services do not provide hidden pages of keyword gibberish. We provide polished pages of industry-specific information that utilizes your keywords. This increases your search engine rankings and draws larger numbers of targeted visitors. Visitors who see the your DDA search engine copywriting pages will not be confronted by large blocks of keywords; instead, they will learn information about your industry, for example, why you use certain materials or how you manufacture your products. To learn about Dynamic Digital Advertising’s search engine marketing program for websites, click here. Develop your corporate identity. Dynamic Digital Advertising offers professional copywriting and website design services in-house through degreed writers and designers. The talented individuals in these two departments work closely with each other to develop an online corporate identity for your business. DDA copywriters and designers collaborate to ensure that your site is consistent in both appearance and written word. Today a leading custom website design company, Dynamic Digital Advertising was founded in 1994 as a pioneer of digital advertising and search engine marketing. We provide the advertising and marketing tools that help sites rank higher and generate larger numbers of targeted visitors who will respond to your desired call-to-action. 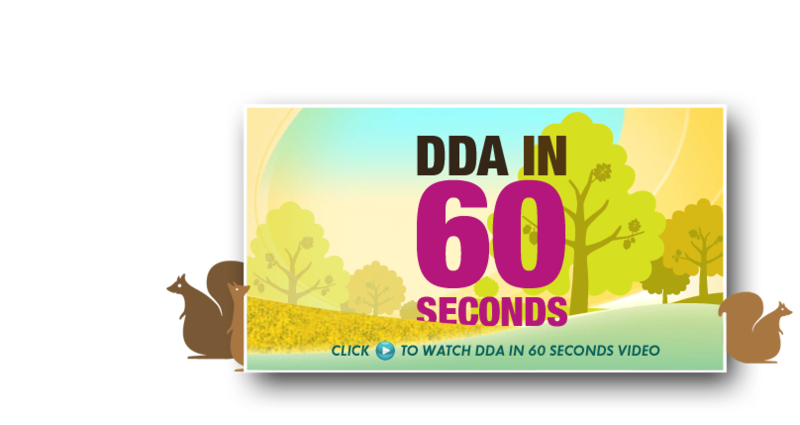 DDA is based outside of Philadelphia in Bucks County, Pennsylvania. Our client base extends from Pennsylvania to New Jersey, Delaware, New York, Maryland, Washington D.C., and the entire United States. Custom website design must be fused with organic search engine optimization to make a prosperous online business. Dynamic Digital Advertising has forged a strengthened fourteen-step program that constructs a professional website. High-end search engine optimization methodology is integrated into every step as research is executed, design is outfitted, and content is written. The end product is a custom website that earns the highest possible rankings from leading search engines like Google, Yahoo, and MSN and that is trafficked by high volumes of targeted visitors. DDA's custom website design functions to engage every website visitor and then turn them into customers. Dynamic Digital Advertising's websites help you survive and thrive in today's online marketplace. Offering a wide range of digital marketing media, Dynamic Digital Advertising is proud to be Philadelphias principal graphic design company. DDAs core graphic design competencies include marketing and branding, graphic design print (i.e. brochures, business cards, etc.) trade show graphic design, logo graphic design, digital photography, illustration, digital video production and much more. All of these services provide companies with a higher level of marketing and branding as well as a more consistent, more memorable corporate identity. Dynamic Digital Advertising has everything you need under one roof for graphic design services that enhance marketing campaigns. Click here to see a full catalogue of our services.